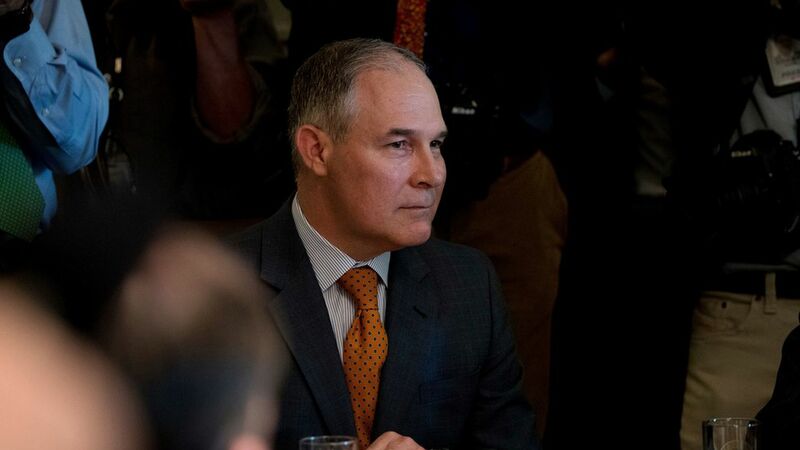 Environmental Protection Agency administrator Scott Pruitt took "at least one chartered flight and multiple government flights," costing taxpayers more than $58,000, according to an ABC report. Why it matters: Pruitt joins Secretaries Steve Mnuchin and Tom Price as cabinet members under scrutiny for chartered and government flights. EPA Public Affairs Officers Liz Bowman said in a statement that in the "very limited circumstances" that Pruitt didn't fly commercial, they "worked closely with EPA's office of general council and ethics officer." June 7: A $36,068 military flight to Ohio and then New York. July 27: A $14,434 charter flight from Tulsa, Oklahoma, to Guymon, Oklahoma. August 4: A $5,719 charter flight Denver, Colorado, to Durango, Colorado. August 9: An in-kind contribution of $2,144 for a flight on the North Dakota governor's plane.